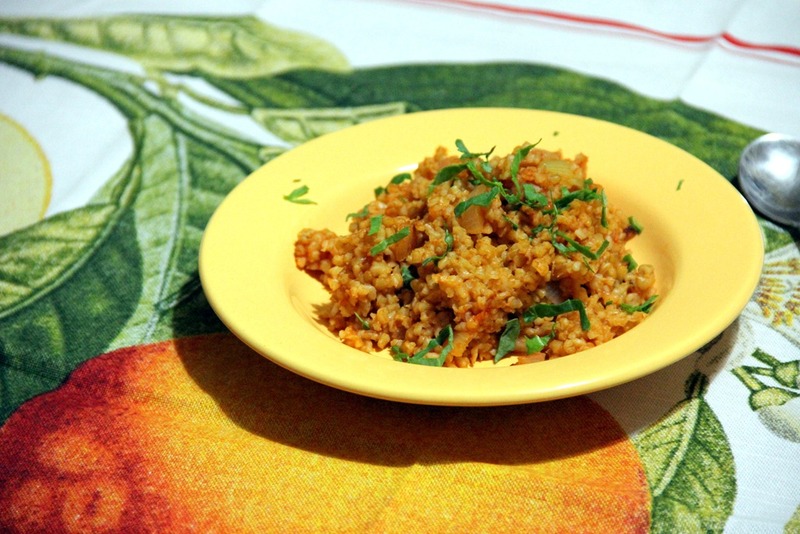 This is a popular Turkish rice dish that uses bulgur as the base. 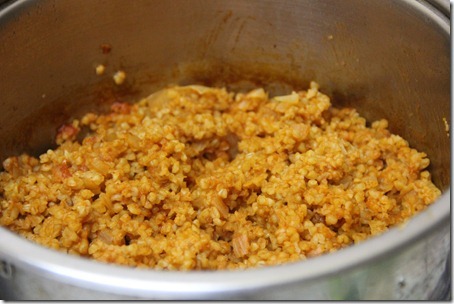 Bulgur is a healthier alternative to white rice ad is quite filling. 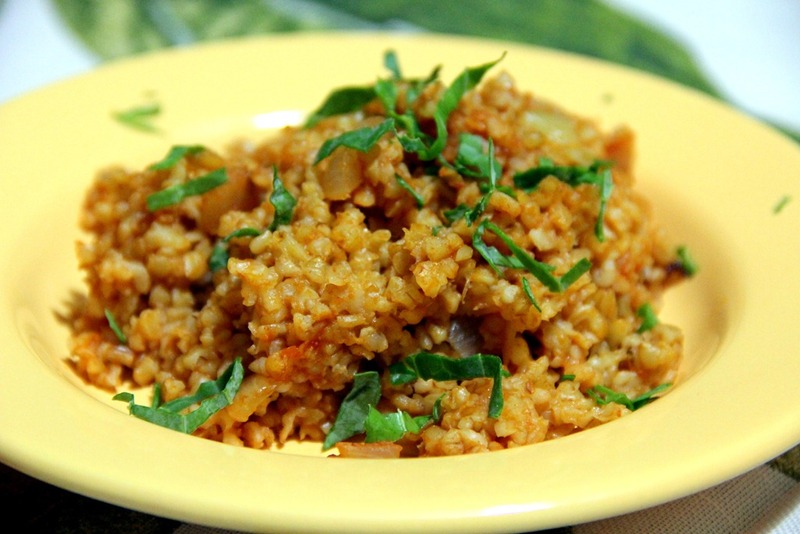 The tomato complements the earthiness of the bulgur and gives it a denser, comfort feel. It’s a simple dish appropriate as a side piece to anything! Enjoy! Bulgur: has more fiber and protein and a lower glycemic index than rice. It is also much higher in most vitamins and minerals. 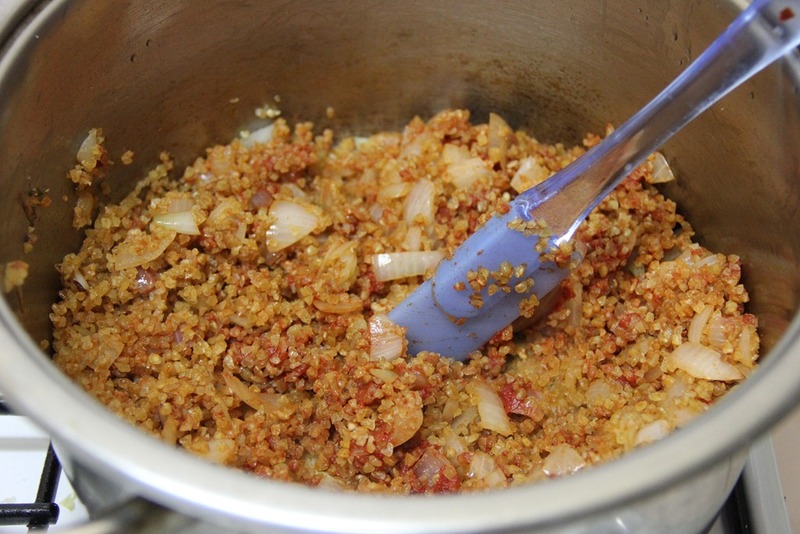 One cup cooked has about 8 grams of dietary fiber and 6 grams protein. 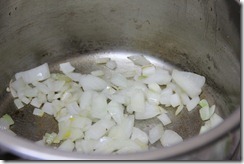 In a medium pot over high heat, pour in olive oil, then add chopped onions, garlic and pepper. 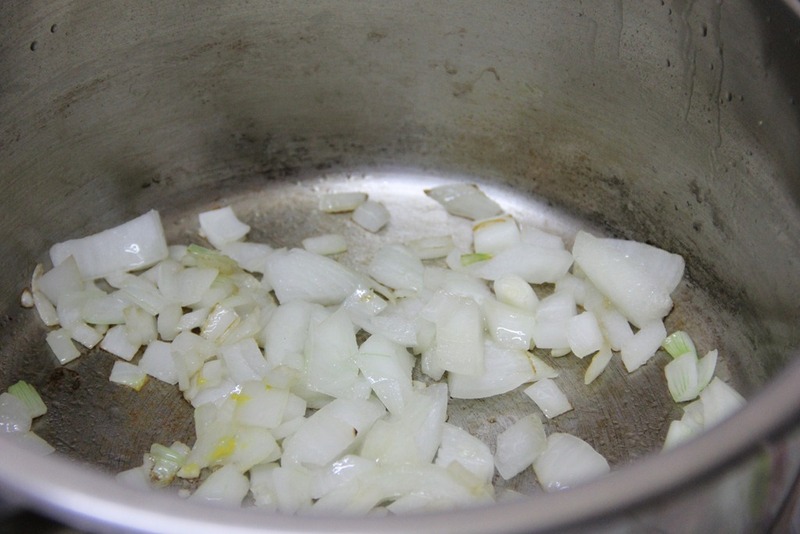 Season with salt and pepper and stir until onions are slightly transparent. Add the bulgur and tomato paste. 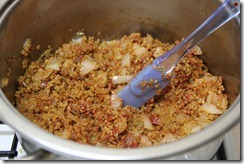 Stir until evenly combined. 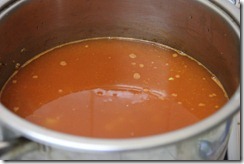 Add the water and bring mixture to a boil. 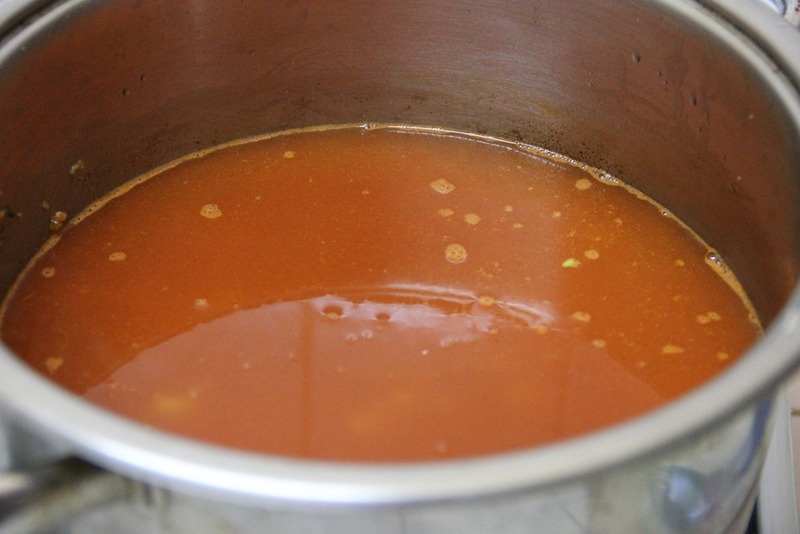 Reduce to a simmer and cover with a lid. 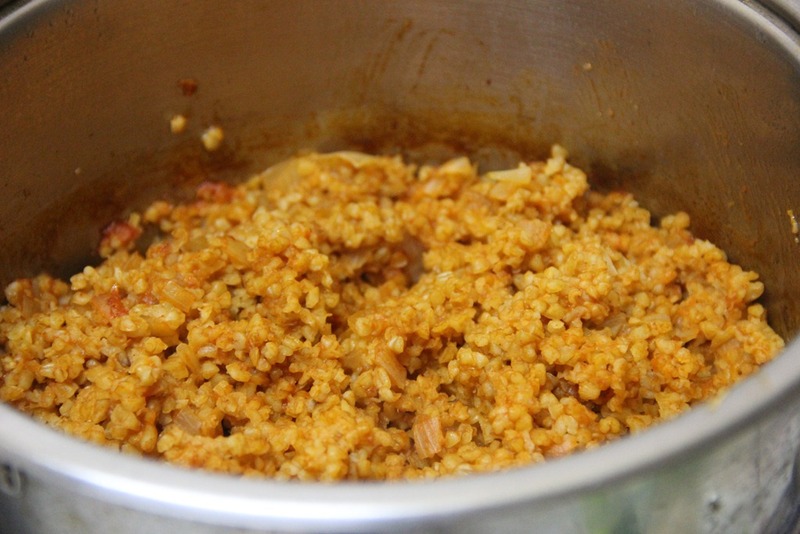 About 30 minutes later, the water will have been absorbed completely and the rice tender. Serve with a parsley garnish! 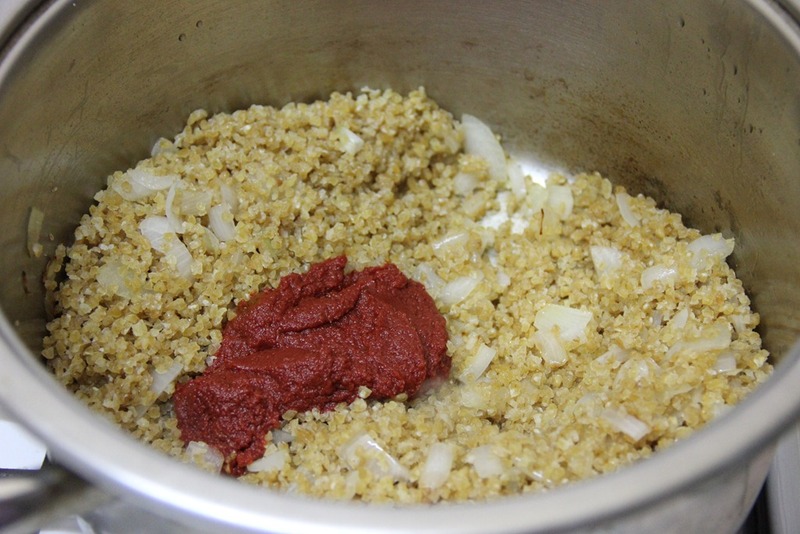 This entry was tagged bulgur, green pepper, onions, pilavi, side dish, tomato paste, Turkish, vegan, vegetarian. Bookmark the permalink.